A jumper experienced a main-parachute malfunction when the slider remained at the top of the lines after deployment and would not allow the parachute to inflate. He released the main parachute, deployed his reserve and landed safely. 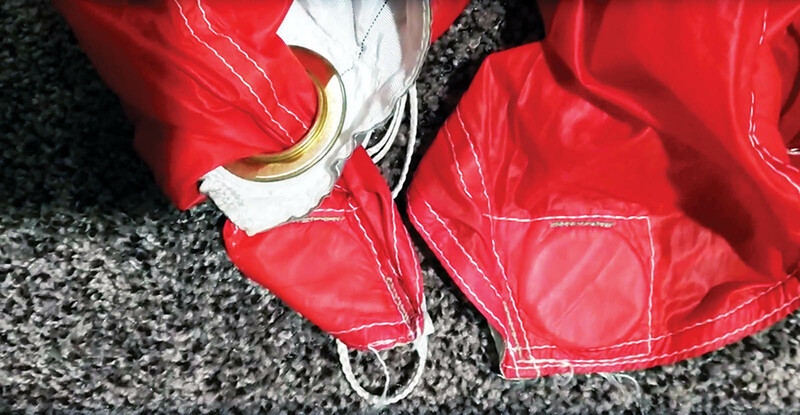 During inspection on the ground, a Federal Aviation Administration Senior Rigger discovered that one of the plastic slider stops sewn into the stabilizer of the parachute had broken in two, which caused the slider grommet to become trapped on the stabilizer. Jumpers should inspect slider stops and the stabilizer material around them regularly due to the potential for wear and tear caused by the force placed on those four contact points during every parachute deployment.